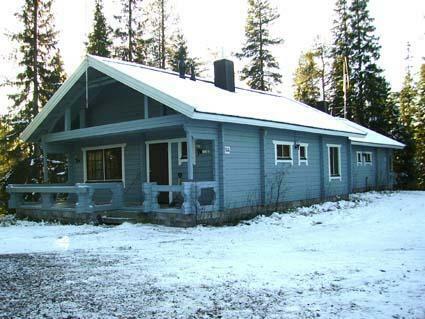 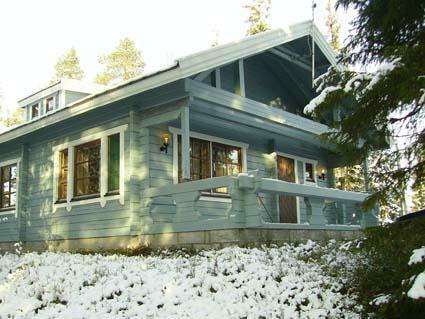 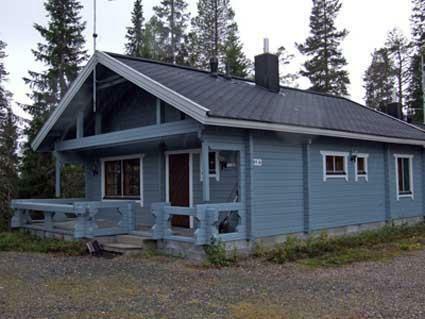 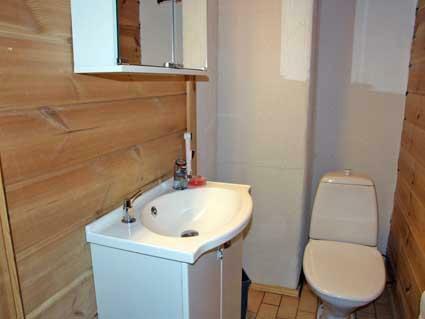 30 km north of Kuusamo, Vuosseli (Eastern Ruka) 3.5 km, Ruka village (Western Ruka, Central Square) 7.5 km, lake Vuosselijärvi 700 m. Apartment in log-built semi-detached house, built in 1991, bedroom 1: double bed, bedroom 2: bunk bed for three (convertible lower bed), loft (25 m²): 4 beds, rather steep stairs to loft. 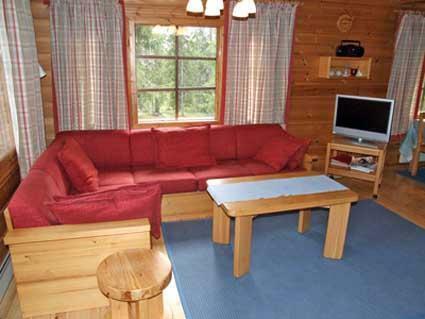 Combined kitchen/living room, electric sauna. 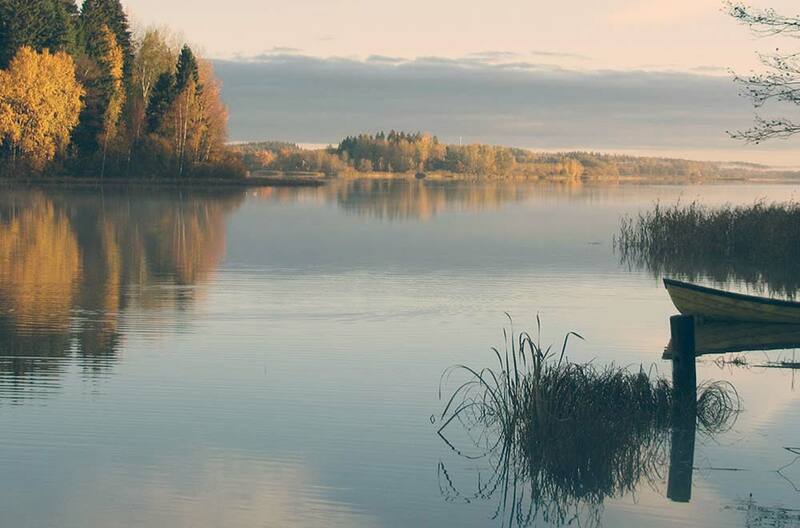 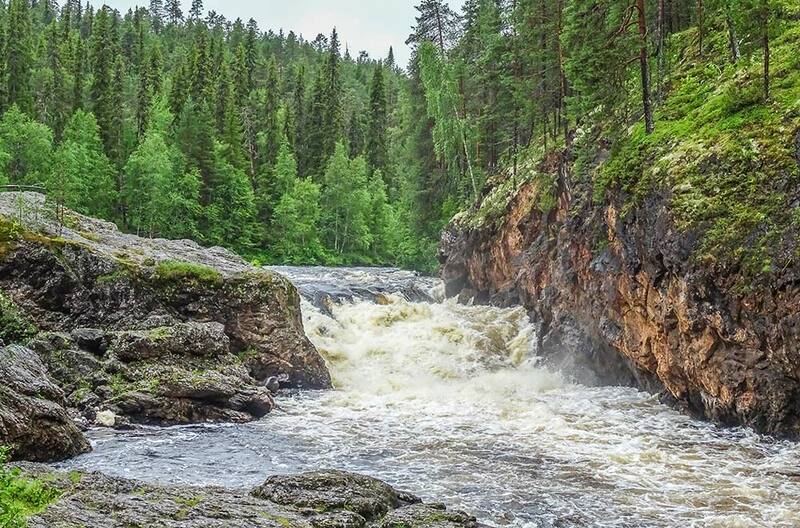 Area is located in Eastern side of Ruka fell and near by the lake Vuosselijärvi.